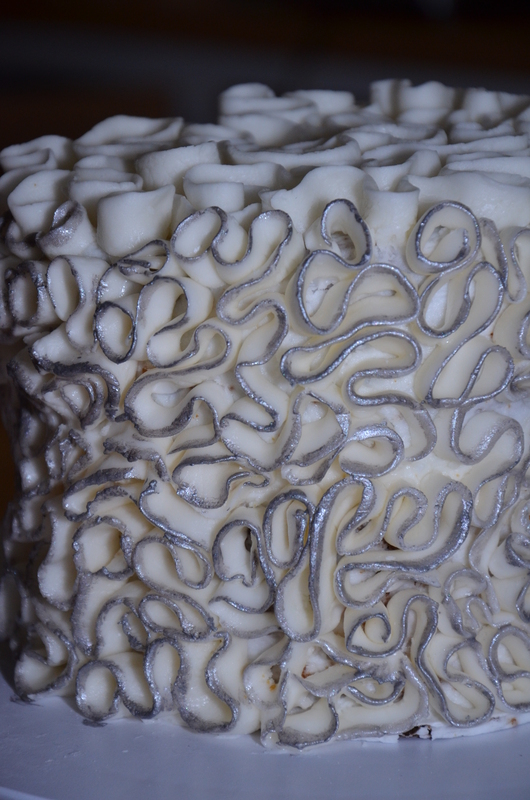 Here is a simple way to dress up a white buttercream cake. 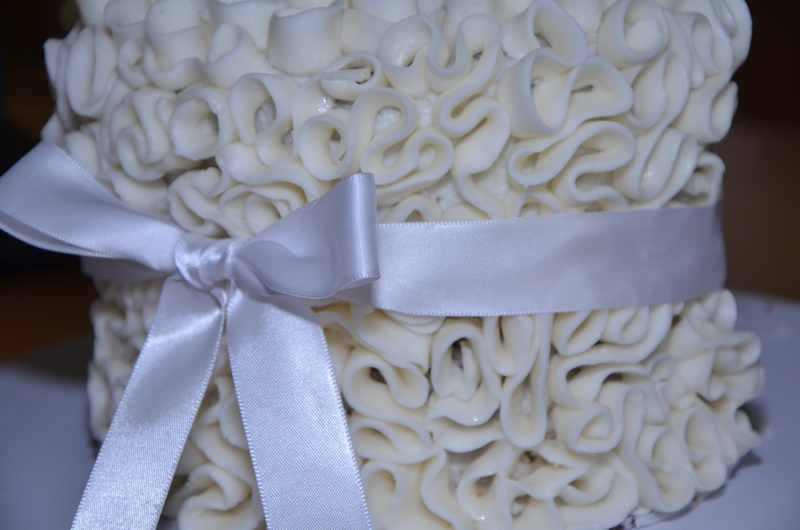 By adding marshmallow fondant ruffles your cake turns into a tasty, gluten free piece of art. 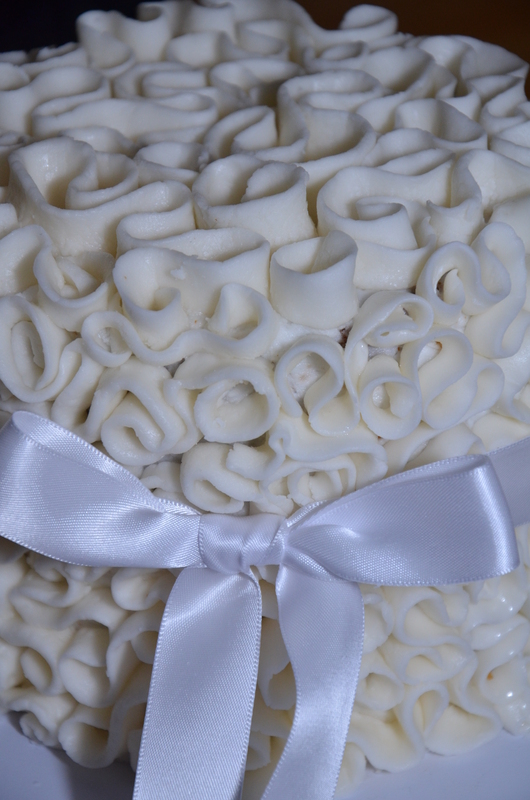 You can do horizontal ruffles, ruffled roses, buttercream or fondant ruffles, but I chose a more avant-garde approach. Take a little edible luster dust and switch your cake from the demure to the dramatic.